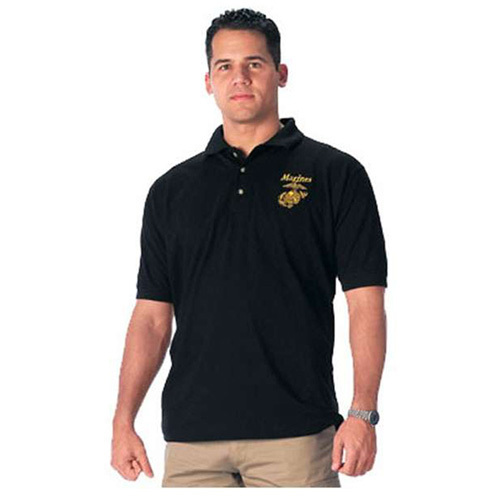 Black military embroidered golf shirts army is made of cotton material. This ensures that the wearer will be always at ease. It has 3 buttons at the front top. This shirt is designed in golf style and has full size cut. There is a print of the word “ARMY” in gold. Along with that, there is a symbol of eagle that is similar to the US Army emblem or the US Army eagle. This shirt is designed for comfort. The shirt can be worn during long distance travels, sports outing or any other occasion.